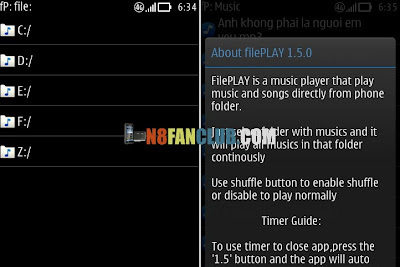 FilePLAY is a music player that play music file directly from phone folder. Choose folder that contain music files and it will play all music in that folder continuously. A timer function will auto close the app. Supported files (format) are mp3,mp4,m4a,aac,wma,wav. Compatible with S^3 / Anna / Belle Smart Phones.